While summertime for most people is spent outdoors, sometimes mother nature doesn’t cooperate or you just might need a break from the sun. Get the kids bouncing off the walls and into Bounce Trampoline Sports where they can bounce off just about anything! With expansion to include a Bounce! Jr. area and Bounce! 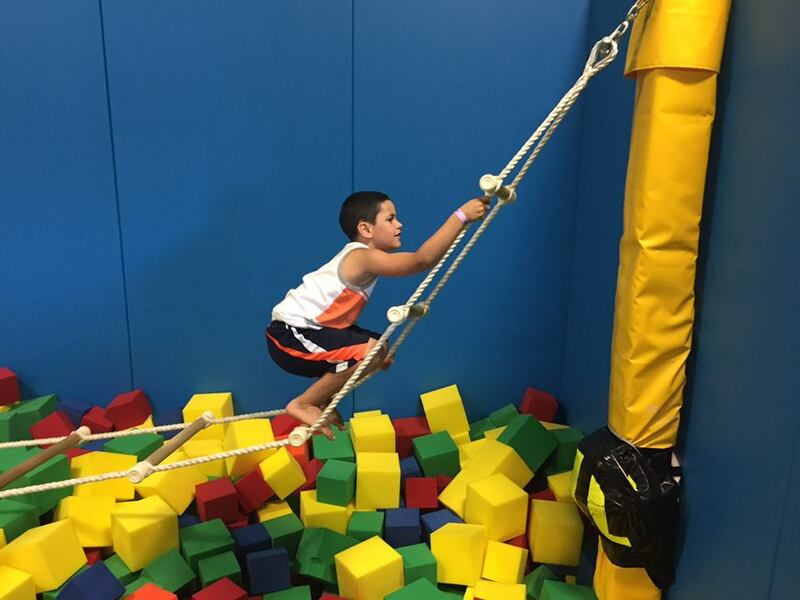 Xtreme Agility Challenge, there is no shortage of activities to keep the kids active this summer. From open bounce sessions to special events to birthday parties, Bounce is quickly becoming a favorite activity for children of all ages. Bounce! Poughkeepsie is quickly growing in popularity for their weekly special events such as Toddler Time and Jump N Glow. Toddler time, available to toddlers under 5 is held most Tuesday, Thursdays and Fridays. Parents can get in on the fun with their child for no additional cost! Friday nights from 8-10pm is Jump n Glow! Everything inside glows in the dark with rockin' music and even glow in the dark dodge balls! Kids ages 10 and up are welcome. The most basic option though is Open Bounce where you get to experience the fun of bouncing and jumping to your heart's content on all the trampoline courts. Activities include dodge ball, basketball and foam pits. Little ones ages 5 and under have a special Bounce Jr. court all to themselves making it fun and safe for everyone to play during Open Bounce. Bounce! Jr. was specifically designed for children ages 2-5 when jumping is most beneficial to muscle development, coordination and balance, not to mention the fun! Part of the newest renovations, the Xtreme Challenge Course features a variety of obstacles that focus on upper body strength and balance. Courses here are divided by age and set to a timer to test your skills. Challenges include rope ladder, wall scaling, net climbing, slack lines and more! Also visit our daily calendar page filled with activities and events in every county!